The CBS affiliate station for the Nation's Capital began life as WOIC-TV in January 1949. The following year CBS joined up with The Washington Post newspaper to purchase the station and changed the call letters to WTOP-TV after the Post's radio station of those calls (now WFED AM 1500). The Post bought out CBS's shares in the station in 1954. In 1978, Post-Newsweek swapped Channel 9 for WWJ-TV 4 (now WDIV) in Detroit, owned by the Evening News Association, publishers of the Detroit News. The ENA changes Channel 9's call letters to WDVM-TV. Eight years later, in 1986, the ENA is purchased by the Gannett Company, publishers of USA Today, and on Independence Day that year the call letters were changed to WUSA-TV in honor of the newspaper published by Channel 9's new owners. Unfortunately, this recording is incomplete, beginning half-way through the sign-off announcement.  The "Flag Evolution" SSB is used here, the same as that used in the 1980 WDVM-TV sign-off linked below.